The #OpSafePharma is a hacktivist campaign targeting the Italian healthcare and pharma industries, protesting their treatment of ADHD. Hacktivists affiliated with Anonymous Italia perform DDoS attacks and leak information stolen from databases of websites related to the abovementioned sectors. The campaign, which started in March 2016, was relaunched at the beginning of June following a decrease in the number of attacks against Italian targets in the past month. On August 21, 2016, Anonymous Italia and its affiliated hacktivist collective AntiSec-Italia, relaunched the campaign, this time dubbed #OperationSafePharma, targeting four different healthcare-related Italian institutions with website defacement attacks and substantial data leakages. 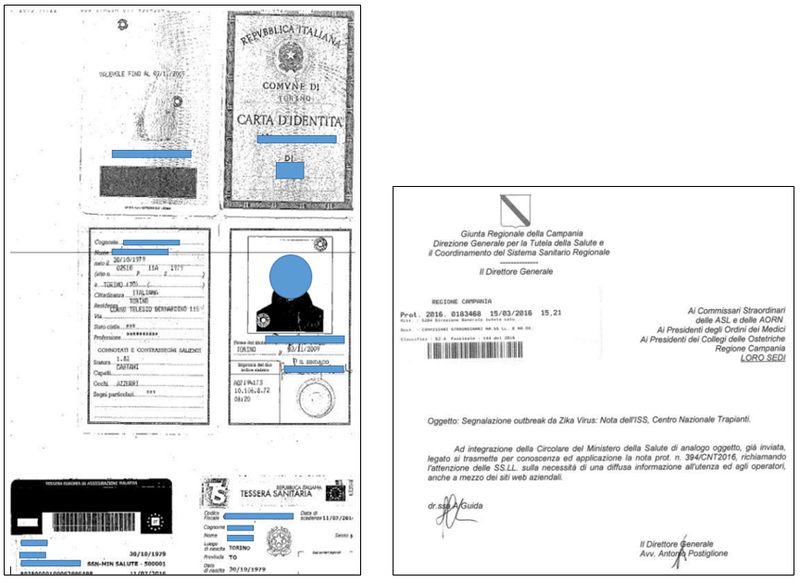 The outcomes of the operation, namely the screenshots of the defaced websites and the addresses of the downloadable data leakages, uploaded on dedicated file sharing platforms, were announced on the social media outlets of AntiSec-Italia, specifically on their Facebook page and Twitter account. 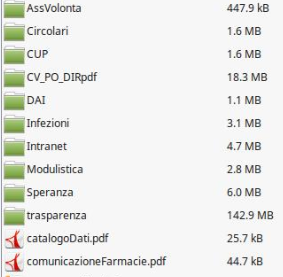 The hacktivists leaked approximately 2.5 GB of data, stolen from the databases of two prominent Italian healthcare institutions, and provided links to file-sharing platforms where they uploaded the dumps. We acquired the leaked databases and, upon verification, we assess that they mostly contain internal communications, as well as a great volume of personal data relating to the in-house personnel of the two healthcare institutions, mainly CVs of the physicians and administrative executives working in the facilities. We did not find any indications that medical records of patients treated in these healthcare facilities were disclosed or compromised during the data leakage. Notably, the most recent documents we detected within the stolen files are dated August 5, 2016. 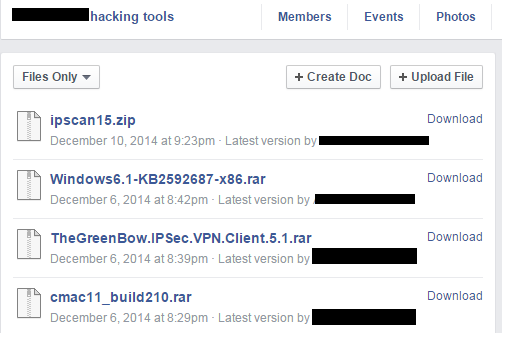 A partial list of the folders included in one of the leaked databases. The group defaced four distinct websites, explaining in a public statement – recycled from previous operations – the rationale underpinning the protest. 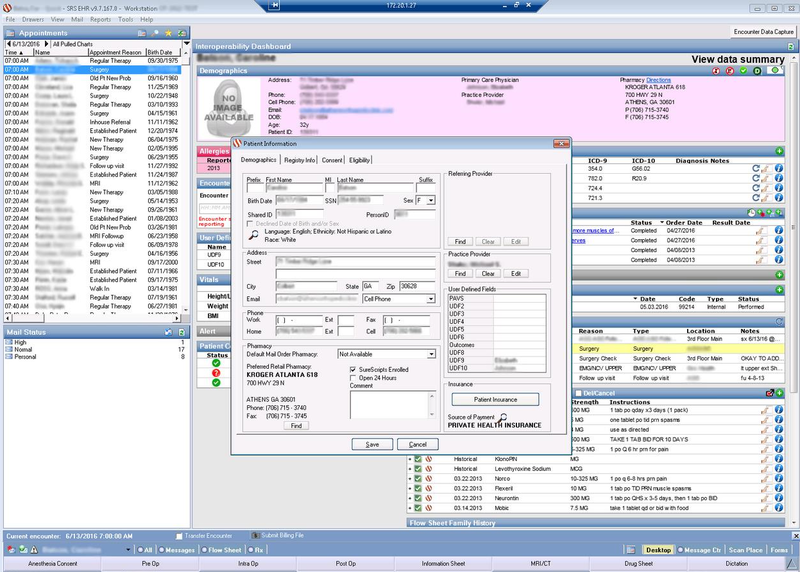 Our assessment is that this latest iteration of #OperationSafePharma originates more from a one-time opportunity window that the hacktivist group AntiSec-Italia spotted in vulnerable websites associated with Italian medical centers and hospitals, than a concerted effort by multiple Anonymous-affiliated collectives to launch a massive hacktivist campaign against the Italian healthcare sector as a whole. We base this assumption on the analysis conducted using our automated SMA (Social Media Analytics) toolset, which indicated a spike in the activity of the attackers. Nonetheless, the achievements of the operation, in particular the exfiltration of sensitive databases belonging to prominent Italian healthcare institutions, display noteworthy technical capabilities by the initiators of the offensive. As yet, we have not identified any preparations for future hacktivist campaigns against the Italian healthcare or financial sector, nonetheless we continue to monitor Italian hacktivist threat actors on a daily basis. 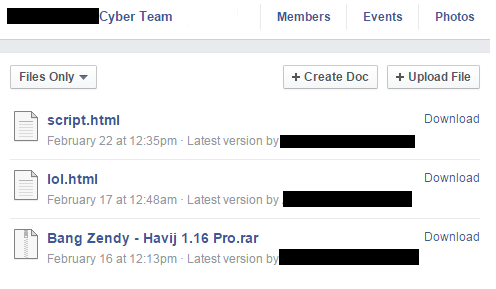 Starting at the end of last week, hacktivist groups from around the Muslim world tried to attack Israeli websites, particularly those of government institutions, as part of the #OpIsrael cyber campaign. In the past twenty-four hours they stepped up their activity, but we have seen no signs of major attacks. Despite all the publicity prior to the campaign, the hackers’ successes were limited to defacing several hundred private websites and leaking the email addresses of tens of thousands of Israelis, many of them recycled from previous campaigns. 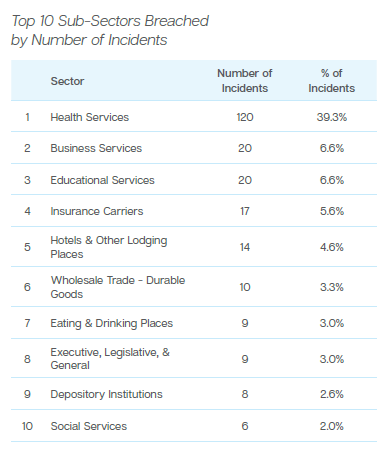 Several dozen credit card numbers were also leaked on information-sharing websites, but our examination shows that some were recycled from past leaks. 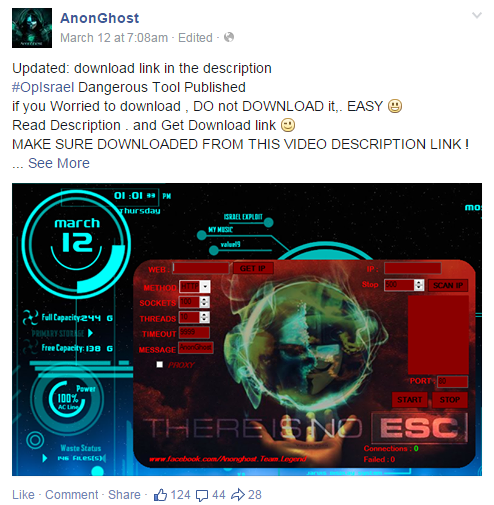 AnonGhost, which initiated the campaign, was the main actor behind it. 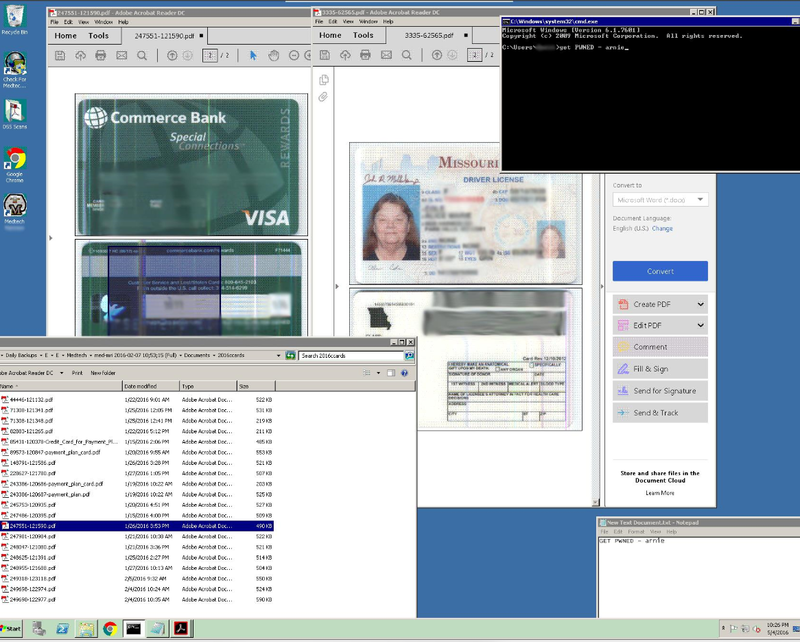 However, other groups of hackers, such as Fallaga, MECA (Middle East Cyber Army), Anon.Official.org, and Indonesian and Algerian groups also participated in the attacks. As the campaign progressed, we saw an increasing number of posts and tweets about it (over 3,000), but this is still significantly less than last year, when there were tens of thousands. As we noted in previous updates, the campaign was conducted primarily on social networks, especially Facebook and Twitter. 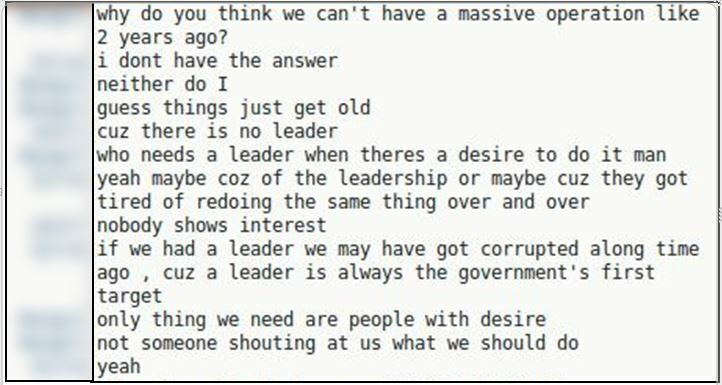 IRC channels opened for the campaign were barely active, partly because hackers feared spying by “intelligence agents.” On closed forums and Darknet platforms, we saw no activity related to #OpIsrael. 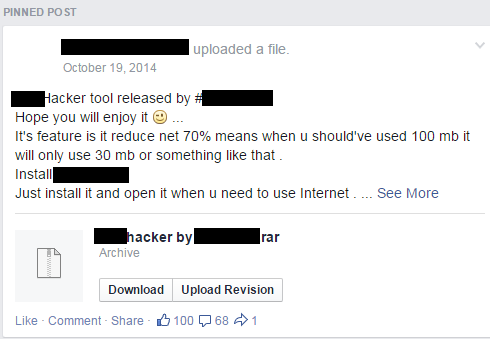 Defacing of hundreds of websites. Victims included Meretz (an Israeli political party), various Israeli companies, sub-domains of institutions of higher education, municipalities, Israeli artists, and more. Leaking of tens of thousands of email addresses and personal information of Israelis. A significant portion of the information was recycled from previous campaigns. Databases from third-party websites were also leaked. In addition, two files were leaked and according to the hackers, one had 30,000 email addresses and the other 150,000 records. Publication of details from dozens of credit cards, some of them recycled. Following centuries of struggle, Latin American countries succeeded in gaining independence in the course of the 19th and 20th centuries. Notwithstanding, it is a well-known fact that today there is no equal financial distribution between the different classes in Latin American society. 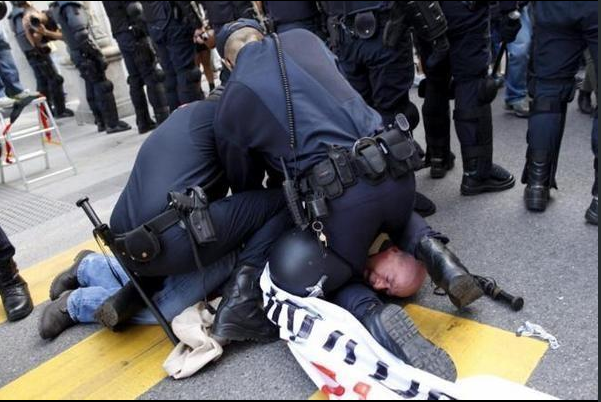 In an attempt to overcome these significant class differences and protect the lower classes in Latin American countries, many human rights groups were created. However, this post refers to very different groups that are fighting for their rights in a more modern way – from behind a computer screen. 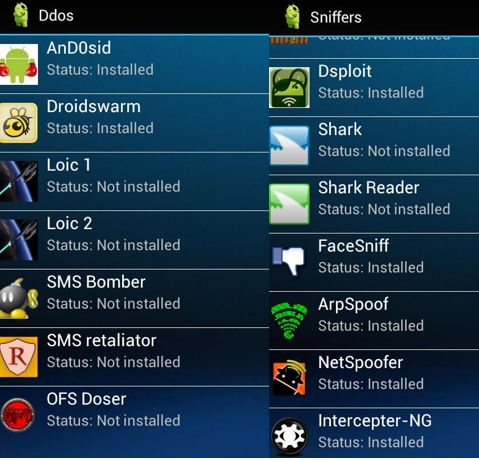 Most of these groups have a very similar agenda and they know that the best way to succeed lies in garnering the assistance of hacktivists from all over the continent and even further afield. Via the computer, they are calling out to the people to protest against government laws and restrictions. 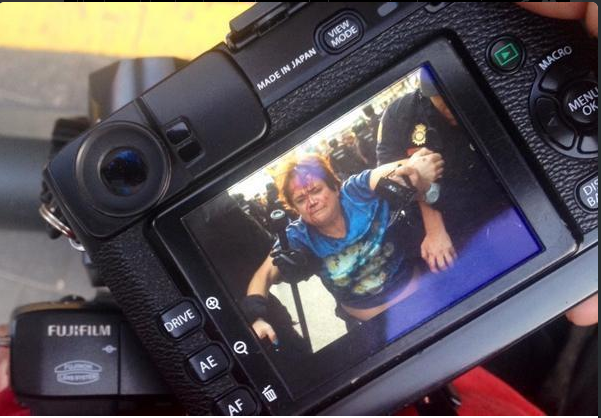 Take, for example, the case of #4octrodealadictadura, where Anonymous exposes police brutality and violence against unarmed protesters. Their main activity is hacking and defacing important websites. Sometimes they even leak information from databases. Their targets are mostly webpages affiliated with the government, politicians and candidates, and large enterprises such as railroad companies, newspapers and local authorities. Almost all of the groups identify with Anonymous. One of the more prominent of these groups is Anonymous Peru, which claims to be striving for a country with no corruption, and calls to protect the human and civil rights of the citizens of Peru. 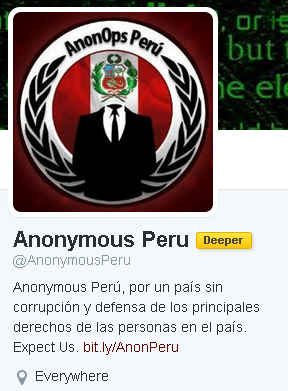 The group created #OpIndependenciaPeru and claims to have attacked government websites on Peruvian Independence day on July 28, 2014. During this operation, they alleged that they leaked candidate information, defaced ISP in Argentina and hacked a Peruvian government website. Another notable group is MexicanH Team from Mexico. The group identifies with Anonymous Mexico and is very popular (with over 21,000 followers on Twitter). 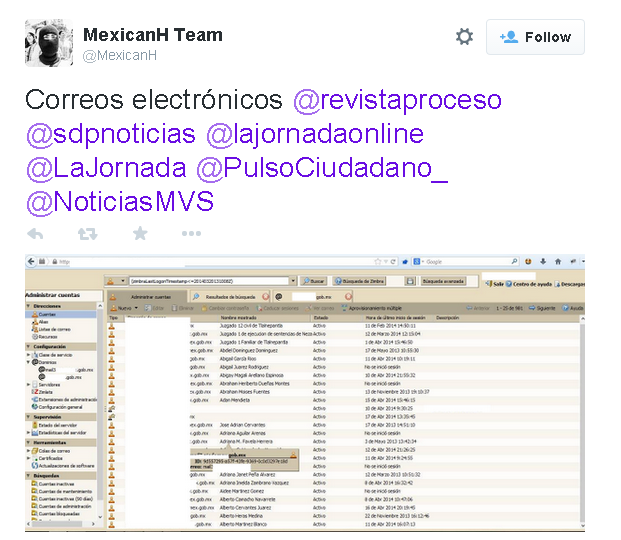 The group launched #OpTequila, targeting Mexico’s Independence Day on September 15, 2014. 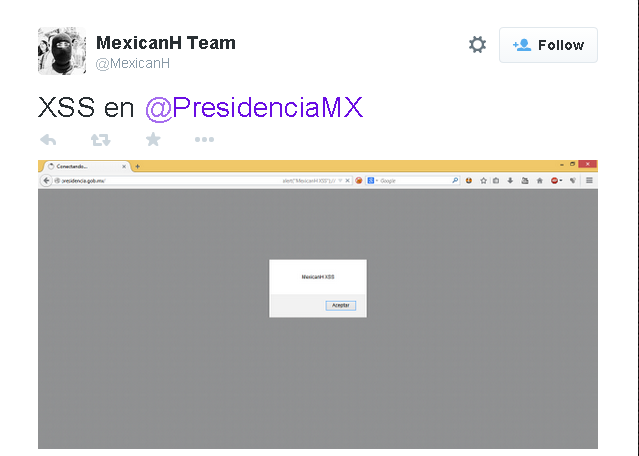 During the campaign, the group hacked the website of the presidency (using an XSS vulnerability). They also leaked government email addresses, usernames and passwords. 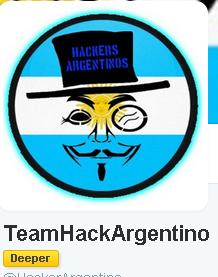 The latest hacktivist group to capture attention is TeamHackArgentino. The goals of this group are to show that the government’s politics are as bad as the security of their websites, and to demonstrate the fact that they posted an archive of their attacks on two different websites. In conclusion, all of these groups help each other to fight against their governments, in an effort to rouse them and make them aware of the unjust acts being perpetrated against the people of Latin America, especially the poor.